The Logitech G Pro is the rare gaming headset iteration that’s clearly built to improve on its predecessor. Logitech is rounding out its G Pro lineup of gaming peripherals by adding the Logitech G Pro gaming headset to the already available mechanical keyboard and mouse under the G Pro moniker. The result is a subtle design that has everything a gamer needs without all the flair a gamer doesn’t. The Logitech G Pro headset has a slick, industrial design pairing hard angles with smooth curves and visible steel. In shape, the design is nearly identical to the Logitech G433, but it doesn’t have the rough fabric finish all over. 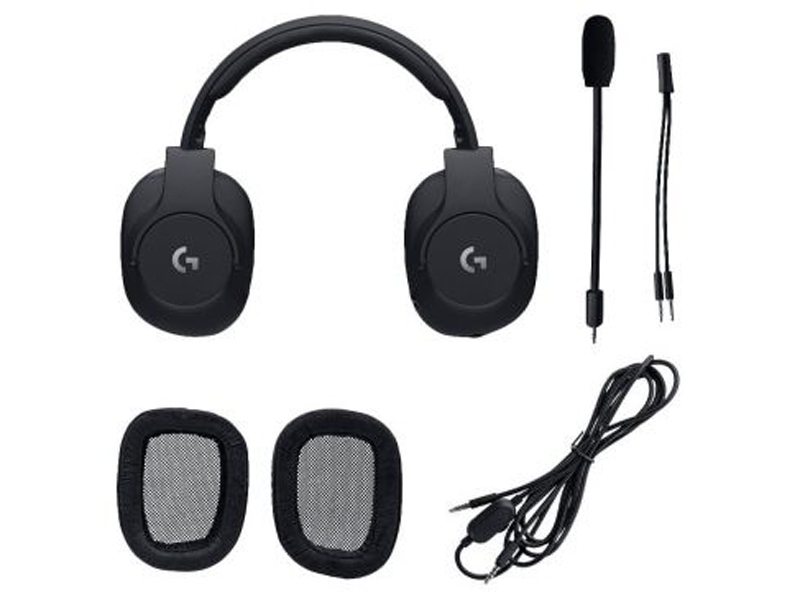 Instead, the Logitech G Pro is has padded faux leather that feels soft and comfortable, and an additional set of microsuede ear pads is included in the box. The typical gamer aesthetic is absent here. Our model is all black, with a subtle blend of silver notes in the G logo and the stainless steel headband extenders. Even the braided cable gives off a bit of a silvery shine pattern thanks to the way it reflects light. The headband is made of a semi-rough nylon that is flexible and feels fairly durable. It can stretch to fit larger heads, especially with long sliders. The stainless steel sliders are notched to make remembering your perfect fit easy, and they hold their sizing well. All in all, it feels like a well built headset that can handle the occasional mishap or rage quit. The Logitech G Pro offers admirable sound performance, particularly in how punchy it could be. While gaming in an area with explosions, the explosions are so tremendous that we swore they had just been patched to be louder. The incredible low-end punch of these headphones amps up the realism to make up for the game’s vehicle physics. 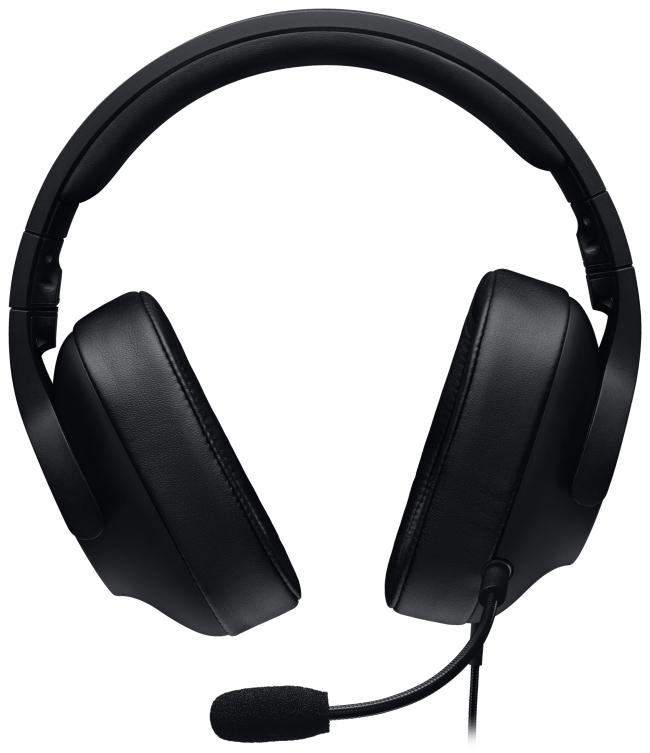 The headset manages to make sound more comfortable and easier to pick out than other headsets. The ear cups offer a decent amount of noise isolation, but don’t leave your ears feeling like they’re boxed in a small room. This makes for a soundstage that feels more open, which helped us distinguish between different sounds in busy game environments. The power of the speaker drivers combined with the isolation easily drowns out loud external noises. And, the microphone does a good job of ignoring background noises as well, picking up our voice more than anything else. Barking orders and screams always come through clear for our teammates. Beyond games, the Logitech G Pro are pretty nice for listening to music with. The punchy bass really shows in music, where it’s heavy and up front. You can feel it giving your head a little rumble. Drums especially kick and floor toms, shine cleary with this headset’s wide soundstage. 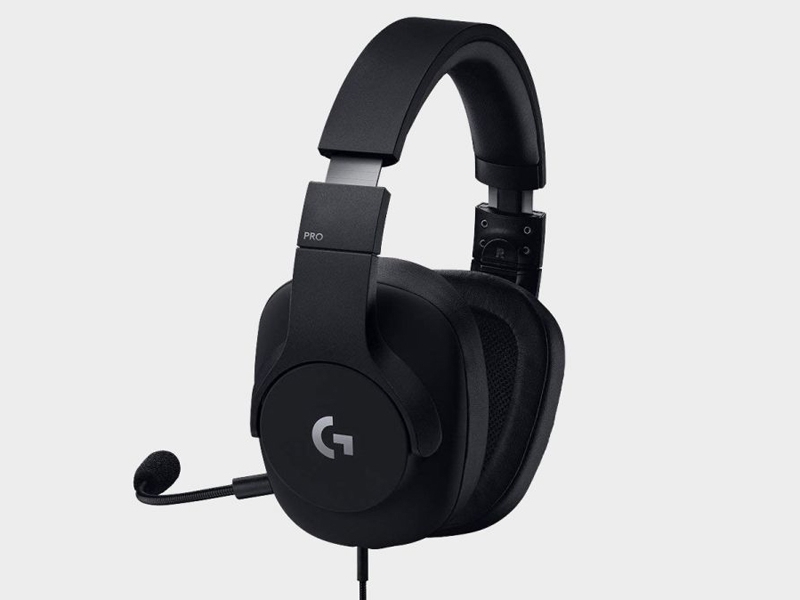 The Logitech G Pro is undeniably a quality headset. Logitech took pro gamer feedback in the design of these, and it would seem some pro gamers are tired of looking like shimmering cuttlefish and just want a serious pair of headphones that commit every dollar to build and sound quality. The Logitech G Pro definetely nails that.